Support - Senior Citizens​Activities, Inc.
Senior Citizens Activities, Inc. has been the “Go To” place, where people 50 and older can find friends, fun, fitness & education since 1967. The numbers of people served over 50 years is uncountable – but never have there been so many people enjoying the activities as there are right now. Baby Boomers and the Greatest Generation can be heard laughing, talking and singing throughout the building. How is it possible that this independent non-profit has been able to meet the changing needs of our Golden Community? The Senior Center has been valued by Washington County, West Bend, the United Way of Greater Washington County, Foundations, and most importantly, by people like you! However, the needs of the Senior Center are continuously changing and in order to provide for both the short term & the long term vision. Your gifts are integral to continue our mission of serving our local senior population. You can support the Senior Center through memorials, bequests & donations. Please consider Senior Citizens Activities, Inc. in your estate planning. Together we can make a difference in the lives of many. 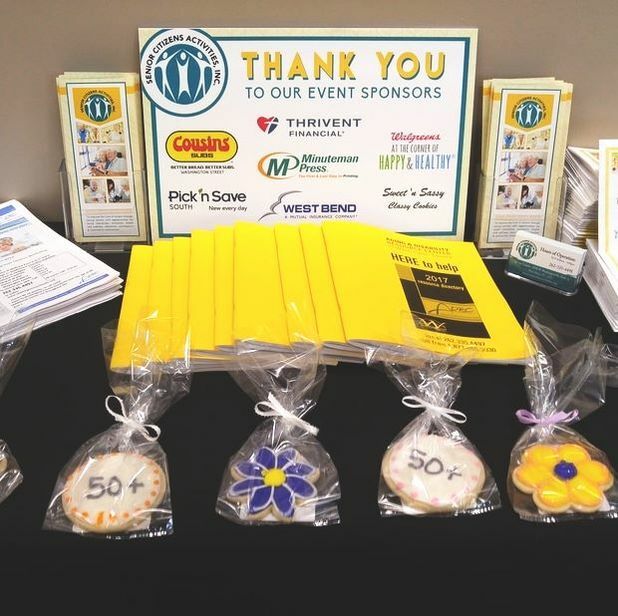 50+ Senior Citizens Activities, Inc.